Demystify the New Tax Act! Educate Prospects and Unlock Profitable Opportunities for You and Your Clients Now! It’s not about “tedious taxes”…It’s about leveraging the tax act for bigger purposes! “I know what some advisors might be thinking: ‘Urggh, I don't need a full day of advanced and tedious tax stuff.’ But, this is something different. It isn't about taxes. It's about leveraging the new Tax Act for a bigger purpose. 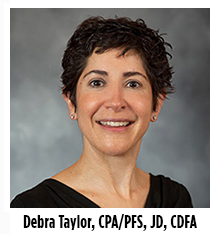 Tax planning is a must-have skill for advisors serving affluent clients—all clients, really. Learn to maximize your one-on-one meeting appointments coming out of presenting The New Tax Law Briefing presentation. The New Tax Act is far-reaching and will provide many planning challenges and opportunities for years to come. There are, after all, more than 20 significant changes to the code that advisors must navigate for their clients! However, we will break down these changes and give you specific action items in connection with the New Tax Act. What do I need to know about the New Tax Act? How can I use the New Tax Act to prospect? How can I coordinate and connect with CPA’s? How can I use the New Tax Act to add value for my clients? We’ll start with an overview of the tax changes and lay out what you’ll learn and why it’s so important for you to fully understand the New Tax Act’s impact on clients and their financial plans. We’ll discuss why the New Tax Act is a double-edged sword and explore the different benefits and detriments for clients. We will also review what we’re seeing regarding early impacts of the tax cuts. Naturally, we’ll also address the “advisors’ can’t give tax advice” hogwash so you have a clearer view of why this thinking is outmoded. This is need-to-know material and offers 8.5 CE credits for those with the CFP designation. Many well-known, even beloved, deductions have disappeared from the code. Approaches your clients have taken in regard to their taxes in the past just won’t work now. We’ll examine what was lost and how these changes will flow through and impact your clients’ taxable income. We’ll discuss best practices for guiding clients in this area and and explore how you can adjust their investment strategies and financial plans. There’s a lot in the new code that impacts families and their homes. Changes impact children, schooling, high-earning couples, divorce, retirement, and estate planning, among other topics. This is the meat of much of the new tax code. We’ll look at each issue, examine its moving parts and address key actions and planning you’ll want to consider for your clients. Plus, we’ll explore the extra-difficult situation of families living in high-tax SALT states. What your clients need to address immediately regarding their estate plan now that the exemption has been doubled. What the loss of full SALT deductibility means for you and your clients. Will it wipe out gains on other tax fronts? What is the state of home mortgage interest deduction? What does it mean when you can’t fully deduct anymore? How does it impact second, vacation homes and rental properties? Should people consider prioritizing paying off their mortgages fast? Any business owner, whether he or she has a small, medium, or large entity, is going to want to have serious conversations about the new rules and how they impact them and their organizations. The business portion of the code is expansive, and many businesses will have their own professionals to fully explore it. But there are three things any business owner should be aware of and we’ll examine them. Does it make sense to restructure a business to take advantage of the new code, and how that would work? Over the next couple of years, there’s a window of opportunity for you to engage clients, prospects, and strategic allies on the meaning and impact of the new tax law. The advisors who get there first will reap the greatest benefits. We’ll look at best practices for pursuing advisor opportunities embedded in the Code and discuss specific ways to attract prospects using your knowledge of the New Tax Act. Attend our one-day workshop and learn to guide clients (and your own firm) on the importance of the new rules in savings, investing, and planning! Yes, sign me up for this one-day, intensive workshop so I can leave with a clear understanding of the range of planning, investing, and tax strategies my clients need to fully respond to the challenge and opportunities embeded in the new tax law. You must be an active Savvy Tax Planning member to receive this deal. Total Price: $600. Click this link and we’ll add you to our workshop information list. When a new workshop date is announced, you’ll be notified.